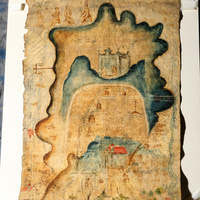 Mesoamerican mapas are pictorial manuscripts created by Indigenous communities to document their histories and relationships with place. Join historian Stephanie Wood for a discussion of the nature and evolution of mapas during 300 years of Spanish occupation—and learn how the UO's Wired Humanities Project is expanding digital access to these key cultural resources. Navigating Knowledge: A Journey Through Museum Collections is an interdisciplinary exhibit curated by scholars from across the University of Oregon. Join us for a special talk by one of the exhibit's faculty curators! The talk is included with regular admission and free for MNCH members and UO ID card holders.